Not many poets can write of the emotional labyrinth that our hearts tread on quite like Charles Bukowski. Drunken words dripping with all that’s witty and downright philosophic, well that’s Charles Bukowski for you! 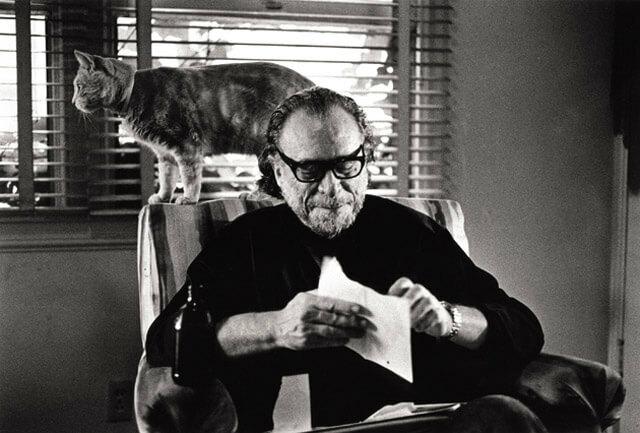 One of the most imitated poet in pop culture, Bukowski’s unique view of the world needs to be witnessed through his relationship with the animals he considered his most profound teachers, cats and dogs. Often ridiculed by some critics as being crude, there’s a gentleness in Bukowski’s crusty words, reserved for his feline and canine friends. Something so puerile that it makes you wonder if Mary Oliver penned it. Like Albert Einstein, Bukowski too found something majestic about the cats. Even going on to say that he’d love to be reborn as a cat. Edgy, raw and astoundingly brilliant, the hard living writer knew his prose as he did his cats. In ‘My Cats’, he ruminates over his life long companions. They knew you too Hank, these cats and dogs. Like this world never knew love or anything worth knowing. 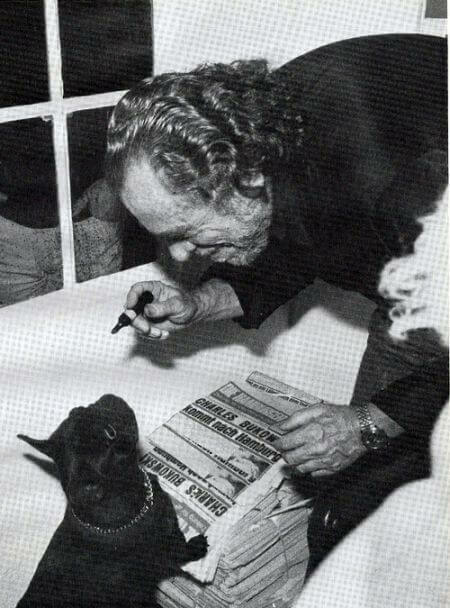 Here’s to you Chinaski, the one poet this dog can read all his life. Posted on November 11, 2016 June 8, 2017 Author Abhishek JoshiCategories Dogged reviews! Wow – I must get that book too. The White Dog crushed my heart. Profound! I dont even have the guts to read Jack London anymore. I must get the Pleasures of the Damned though. Love the poems about the cats. Next Next post: Therapy dogs at Mumbai Airport calm tired passengers in the cutest way!